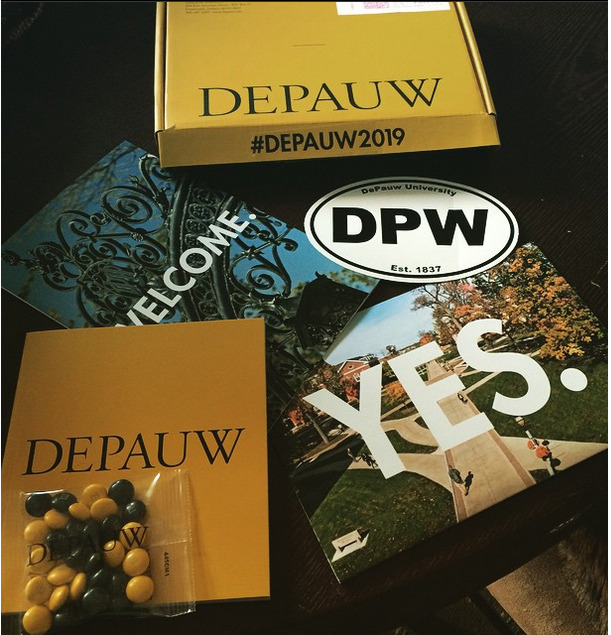 Instead of receiving the traditional DePauw University folder containing an acceptance letter and information laying out the next steps in the enrollment process, students admitted into the class of 2019 were welcomed with a bright yellow box. These admittance boxes contained not only their acceptance letter and a booklet on DePauw but also a sticker for their car and M&Ms. 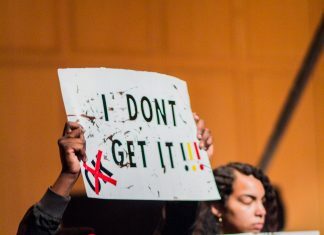 “There was a lot of social media buzz about them,” said Cindy Babington, vice president of admission and financial aid. This was Babington’s first year in the position after Dan Meyer left DePauw in July to become the vice president of enrollment management at the University of St. Thomas in Minnesota. She’s deemed this admissions cycle a success. “The team did a really good job,” Babington said. Dani Weatherford, director of admissions, reiterated the success this year brought. “We’re ahead of last year,” Weatherford said. The class of 2018, while having some of this highest academic merits, also had the smallest number of enrollment in the last decade at 514 students. According to numbers provided by the Office of Institutional Research, DePauw saw an increase in the percentage of applicants accepted from 57 percent to 64 percent. DePauw accepted more applicants this year than any other year in the past decade. In addition to being statistically less selective, DePauw saw a May 1 enrollment rate of 18 percent of total accepted applicants. This year’s enrollment rate is the second lowest enrollment date in the last decade, with last year’s enrollment rate being the lowest at 17 percent. As of the end of the day Friday, 612 students were enrolled for the class of 2019. Deposits that came in over the weekend were not counted in the total. The incoming class is on par academically with previous classes, with a median GPA of 3.76 and a median ACT score of 27. “That sticks right on target with where we were in the past,” Weatherford said. Weatherford said that numbers in Chicago and Indianapolis increased substantially. “Those are traditional feeder cities for us but we were able to execute a little bit better there,” Weatherford said. This year, admissions saw an increase in international student enrollment. However, Babington sees international student enrollment rates as an area that has room for improvement. Babington said that while a number of things changed in recruiting practices this year, communication was a primary change. “We changed a lot of the communication that was going out from the start,” Babington said. Weatherford noted the increased use of social media. She also noted that they worked to bring more students to campus. “We know that there is a higher yield on those students who do visit than those who don’t,” Weatherford said. There was one additional on campus event for prospective students per semester. “It’s hard to describe to you what it feels like to actually be here and be a student,” Weatherford said. However, both Weatherford and Babington noted that there is always room for improvement. “We’ve got a lot to look at in the coming months,” Babington said.